If you want to meet someone passionate about youth, let us introduce you to Brandon. Brandon's heart is laser focused on connecting with youth and pouring into them, so his role as a Youth Pastor suits him perfectly. Brandon has volunteered his time over the last several years helping in various capacities. 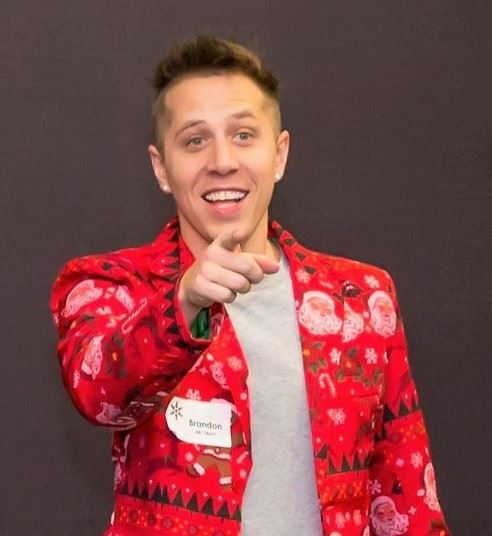 This past year he took on the challenge of developing the evening's events and program for the Junior and Senior High youth who were at the Single Moms Christmas Dinner. And let us tell you, he knocked it out of the park! Brandon put together an A+ team of other Youth Pastors and Leaders from various local churches and throughout the community to create a fun and valuable evening for those a part of it. High energy, devoted leader, heartfelt care, and diligent are all great words to describe Brandon. We are so grateful for his efforts to support our mission and the families we serve. THANK YOU, BRANDON!